Off the back of news that Facebook is reversing its crypto ad ban, see below for commentary from some of the blockchain and crypto industry’s most renowned experts. “We have always advocated for a more sophisticated approach to cryptocurrency advertising, as we believe legitimate providers shouldn’t be lumped in with rogue operators. Customer safety and education about the market should remain a priority, but a blanket ban is a poor approach to new ideas. “Facebook first announced a ban on cryptocurrency related advertisements in January of this year, stating that too many companies in the space were “not currently operating in good faith”. They also argued that the advertising was misleading and had deceptive promotional practices, as well as citing the speculative and unregulated nature of the products themselves. These doubts cannot be argued with, particularly given the recent figures showing daily losses of investor money in the ICO space. 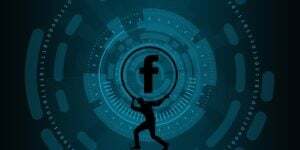 Given the vast reach of Facebook, the ban is understandable to a certain extent, particularly since other big players such as Google followed suit soon after. It now appears that Facebook is preparing to allow the advertising of cryptocurrencies, though under strict conditions, whilst ads relating to ICOs remain prohibited for the moment. The intention is that an application process paired with an ‘expert review’ will ensure that the ads permitted on the site are legitimate and appropriate for the consumer. While exact details on the particulars of the application process are presently vague, this is a considered move by Facebook. The reversal of this policy is a welcome development. It indicates that Facebook may have taken the recent global upswing in regulation for cryptocurrencies into account when revising their policies, as well as the emergence of institutional investment in the space. Additionally, their renewed interest in blockchain technology and their investment in the same may have also contributed to this shift in policy. “Every day we see more initiatives that aim to enrich this decentralized ecosystem, from new project funding technologies which are more aligned with company objectives, to governments enforcing AML policies on exchanges. “With Facebook launching a blockchain team, we can assume that it does indeed believe in the technology and is further exploring the application of it. As they have now put very strict guidelines in place around crypto advertising, and potential advertisers will have to go through a screening and approval process, it makes things much more secure, with the social media platform now less prone to scams being advertised. Facebook can also expect to boost its bottom line tremendously by becoming a major hub for crypto advertising. “The reasons for Facebook reversing its decision to ban crypto ads are not clear, but the motivation could have something to do with its own strategy regarding the evolving crypto space. The cryptocurrency ecosystem is expanding rapidly, and is growing its footprint in mainstream society, introducing new economic opportunities. We are also seeing regulatory authorities taking steps to provide security to the ecosystem that will in turn give strength to the global economy.